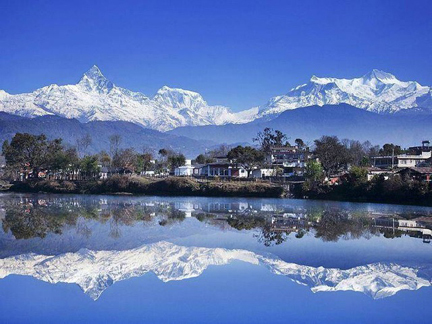 Located at the “Rooftop of the World,” Nepal’s natural beauty is legendary. Fashionistas are looking forward to the upcoming season of Couture Fashion Week New York with great anticipation. The multi-day event, now entering its 23rd season, will be held February 12-14, 2016 at the Crowne Plaza Times Square Manhattan, 1605 Broadway, New York City. One of New York Fashion Week’s most prestigious events, CFW presents the latest collections by exceptional designers from around the globe, world-class entertainment, chic after parties and more. This season, Couture Fashion Week is pleased to include a dazzling showcase of art, culture and design from Nepal. As Nepal recovers from the recent devastating earthquake, it is reassuring potential travelers and business partners that the country is absolutely safe and welcomes visitors with open arms. With its rich history and culture, and a warm and welcoming people, Nepal is a jewel waiting to be discovered. 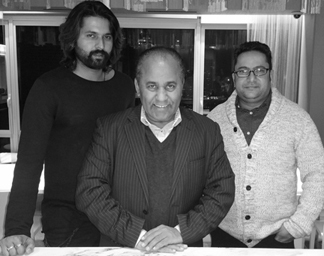 (l-r) Deepak Ghimire, CFW Producer Andres Aquino and Raja Ghimire.